After a short illness, Jim left us to be with his Lord and Saviour on September 14, 2018 at the age of 73. He is survived by his loving wife Christine of 46 years, His children Jamie (Ryan) Voss, David (Mieko) Beyette, and Pamela (Pedro) Cabral, his grandchildren Saundra, and Clarissa Voss, Haulu, Zen, Joe and, Louie Beyette, Collin and Andrew Cabral. He is also survived by sister Bonnie Gowler, sisters in-law Martha Beyette, Ellen Schick (Keith) and Bela Posthumus, brothers in-law Lewis (Germaine) Posthumus, Frank (Darlene) Posthumus, Ray Posthumus, and Norman Posthumus, two great aunts, several nieces and nephews, numerous cousins and friends. Jim was predeceased by his parents Garnet and Velma Beyette, and brothers in-law Bruce Gowler, Wayne Beyette, and Matthew Posthumus. Jim was born in Dauphin, MB and lived on the family farm. At 11 years old the family moved to Dryden, ON. Jim later attended the University of Manitoba graduating with a Science of Agriculture degree. Jim met Christine Posthumus, the love of his life, and they were married in September of 1972. They lived and raised their children in Winnipeg for 14 years and then moved to Beausejour in 1986, where he resided until the time of his death. Jim was employed as a Fisheries Technician with the provincial government, conservation department, Eastern division for 32 years until his retirement in 2006. 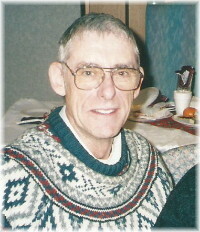 Throughout the years, Jim was involved in numerous committees. Jim also had a passion for the genealogy of his family and was working on an extensive family tree. Jim was an amazing friend. The one person you could always count on. He was truly a faithful friend, a man of his word. He was a people person and easily made friends wherever he went. The family would like to thank the doctors, nurses, and the support staff at the Buhler Cancer Care Centre, Selkirk Regional Health Centre, Beausejour Hospital, Beausejour Home Care, Palliative Care and EMT for their good care of our husband and father. A Memorial Service in Jim’s honour will be held on Saturday, September 29 at 11:00 a.m. at Sobering Funeral Chapel, 1035 Park Avenue E., Beausejour. A luncheon will follow in the Beausejour Community Church, 748 Park Avenue, Beausejour. In lieu of flowers, donations may be made to Broken Beau Historical Society (Pioneer Village Museum), Box 310, Beausejour, MB R0E 0C0 or a charity of one’s choice. Our friendship with Jim is a pretty new one, but the connection was strong from the start. Jim’s quiet & strong persona mixed well with us and time together offered up lots of laughing. He will be missed dearly. Our condolences to his family who shared Jim’s life, love and laughter. I had the great privilege of working with Jim for a number of years in Beausejour and Lac du Bonnet as the Regional Fisheries Manager for the Eastern Region. Jim was a very unique individual in many respects, including his perspective on life in general and in his great passion for Natural Resources Conservation. Jim’s pride and joy was the work he did with Lake Sturgeon on the Winnipeg River and in various lakes in Whiteshell Provincial Park. CBC (French Channel) did an excellent video documentary showcasing Jim’s work with Lake Sturgeon in these areas, of which my colleagues and I were very pleased. I found Jim to be a very hard working, forthright and honest individual, who had numerous friends and contacts and greatly helped me in carrying out my job. My wife and I wish to offer our sincere condolences to Jim’s wife Christine, his three children Jamie, David and Pamela and his seven grandchildren. Rest in peace dear friend and may the lord take care of you. Even though I haven’t seen Jim in a few years, it still was a bit of a shocker to hear of his passing. My sympathies to Christine and family. I first met Jim around 1977 when I started working with the Fisheries Research Branch in Winnipeg. Every time I visualize Jim, it is always where he had that great, big grin on his face. As noted above in his obituary, he was a people person that was always willing to help one out when needed. While with Fisheries I still recall Jim and Rich Janusz having ‘fun’ (there might be a different interpretation of this by Rich) trying to develop fish metrics analyses programs on the old Hewlet Packard computer. There was occasionally Jim’s favorite ‘blue air phrase’ that came from the computer room when something went wrong, and that is one of the fond memories from those long past days that I will not forget. When I moved over to the Water Quality Branch and needed to collect some fish tissue samples from the Eastern Region for mercury monitoring, Jim was always accommodating to slip me in with his test netting program. Nothing like ‘rocking and rolling’ on Lac du Bonnet on a windy day Jim! I also recall that Jim seemed to have a bit of a quick witted, dry humour. Back in the Fisheries days at 1495 St. James Street, we often went to the Pantry Restaurant for coffee breaks. I don’t recall specific comments anymore, but I do remember on occasion Jim would respond to the conversation with a quick witted comment and dead pan face that would crack us up. Again, condolences to Jim’s family – we’ll still think of him every so often – it’s hard to forget someone like Jim. I had known Jim during my entire career with the Fisheries Branch but having been located up north in The Pas, I only knew Jim from the occasional meetings. Jim was known as “Mr. Sturgeon” based on the amount of sturgeon work he was involved in on the Winnipeg River, which at that time was the only study being conducted on sturgeon in the province. As life would have it, I ended up in Lac du Bonnet later on in my career. My career up to this point had been in the north and the “south” was something relatively foreign to me. Jim was invaluable in helping me get to know the region and understand the fisheries program. He became an invaluable asset to me and was a wealth of knowledge on the history of the region and the fisheries in it. He was always there with answers when I had questions. I know for certain that Jim was happiest when he was out on the river in the boat with a sturgeon gill net in his hand and he was more than willing to share this experience with the countless people who joined him in the thrill of working with this unique fish! My condolences to Jim’s family. I only learned recently of Jim’s illness and he passed far to soon. He will be missed by many. I never did get to meet ” James” (as I understood he went by!) but we did talk quite a few times on the phone. He first called me to introduce himself as my 3rd cousin, discovered through DNA and our shared interest in genealogy, especially related to Ancestry. He was keen on discovering more of his mother’s family and we were able to exchange information to help build our McFarlane branches. I will miss our sporadic calls, the last one the afternoon before he passed, and I will carry on the search for more relatives which I think he would like. I wish to extend my deepest sympathy to Christine and to his family and friends. May the memory of Jim comfort you always. If there’s anything I can do or you just want to talk, think you know how to get in touch with me and Martha has my number as well…Take care and take comfort in the family you both raised..as you will all need each other more now…. It was sad to hear of Jim’s passing. Condolences to Jim’s family. I got to know Jim while working at Natural Resources shop. There were many times having to repair or build something Jim needed for his work. I always admired Jim for his knowledge on fish and enjoyed going out tagging Sturgeon with him. I last saw Jim at the Beausejour Hospital prior to him going home. He had phoned and asked me to come for a visit. I took along some pictures from our hunting days up in the Duck Mountains. We reminisced about the good times we had at the cabin. We first met at the Provincial Bldg. in Beausejour when Natural Resources relocated in 1986. We shared a passion for hunting, conservation and community/volunteer work. RMEF, Ducks Unlimited and the local Game & Fish organization were some groups that we were involved with. I always thanked him for taking me along on some of his lake netting projects. Jim was a true friend in all aspects, the world is a smaller place without him in it. I would like to extend my deepest sympathies to his wife Chris and the family.